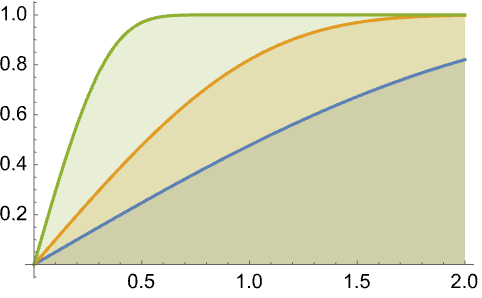 represents a Gompertz distribution with scale parameter λ and frailty parameter ξ.
represents a Gompertz–Makeham distribution with parameters λ, ξ, θ, and α. The hazard function for value in a Gompertz distribution is given by for , and is zero for . 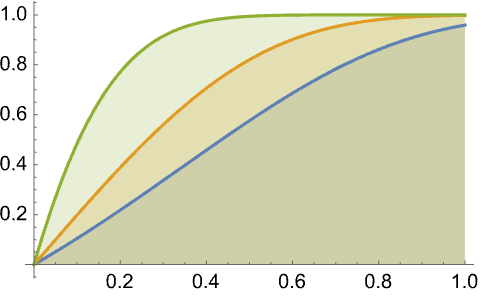 The hazard function for value in a Gompertz–Makeham distribution is given by for and is zero for . GompertzMakehamDistribution allows λ and ξ to be any positive real numbers and θ and α any non–negative real numbers. GompertzMakehamDistribution can be used with such functions as Mean, CDF, and RandomVariate. GompertzMakehamDistribution[λ,ξ,θ,α] represents a continuous statistical distribution defined over the interval and parametrized by two non-negative real numbers θ and α and two positive real numbers λ and ξ called a "scale parameter" and a "frailty parameter", respectively. 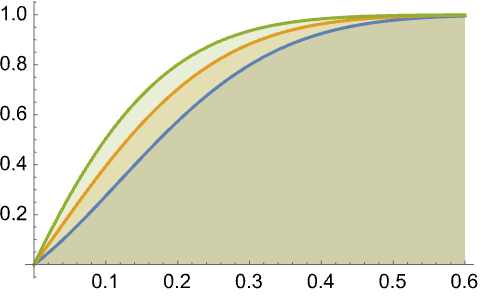 The overall behavior of the probability density function (PDF) of a Gompertz–Makeham distribution is determined by the values of the parameters λ, ξ, θ, and α, and in particular the PDF may be either monotonically decreasing with a potential singularity approaching the lower boundary of its domain or unimodal. In addition, depending on its parameters, the tails of the PDF may be either "fat" or "thin", in the sense that the PDF may decrease either algebraically or exponentially for large values of . (This behavior can be made quantitatively precise by analyzing the SurvivalFunction of the distribution.) The two-parameter version of the distribution GompertzMakehamDistribution[λ,ξ] is often referred to as the Gompertz distribution and is equivalent to GompertzMakehamDistribution[λ,ξ,0,0]. The Gompertz–Makeham distribution was introduced in the 1890s when English mathematician W. M. Makeham generalized a distribution originally studied by British mathematician Benjamin Gompertz in the early 1820s. Gompertz's original distribution was constructed as an attempt to smoothly model human mortality, subject to the assumption that death is due only to deterioration, while Makeham's work was the result of generalizing this model to account for death stemming from either deterioration or random causes. The Gompertz–Makeham distribution is the basis for the so-called Gompertz–Makeham law of mortality, which states that the human death rate is composed of two components: one age dependent and the other age independent. This law is used in a number of fields, including computer science, actuarial science, gerontology, demography, biology, and reliability theory. RandomVariate can be used to give one or more machine- or arbitrary-precision (the latter via the WorkingPrecision option) pseudorandom variates from a Gompertz–Makeham distribution. Distributed[x,GompertzMakehamDistribution[λ,ξ,θ,α]], written more concisely as xGompertzMakehamDistribution[λ,ξ,θ,α], can be used to assert that a random variable x is distributed according to a Gompertz–Makeham distribution. Such an assertion can then be used in functions such as Probability, NProbability, Expectation, and NExpectation. 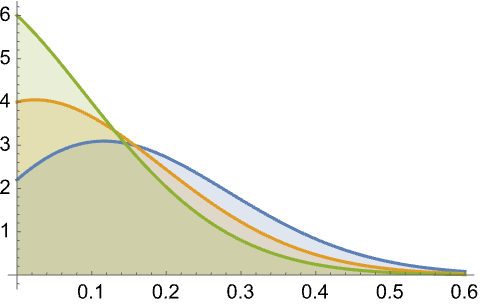 The probability density and cumulative distribution functions may be given using PDF[GompertzMakehamDistribution[λ,ξ,θ,α],x] and CDF[GompertzMakehamDistribution[λ,ξ,θ,α],x]. The mean, median, variance, raw moments, and central moments may be computed using Mean, Median, Variance, Moment, and CentralMoment, respectively. DistributionFitTest can be used to test if a given dataset is consistent with a Gompertz–Makeham distribution, EstimatedDistribution to estimate a Gompertz–Makeham parametric distribution from given data, and FindDistributionParameters to fit data to a Gompertz–Makeham distribution. ProbabilityPlot can be used to generate a plot of the CDF of given data against the CDF of a symbolic Gompertz–Makeham distribution and QuantilePlot to generate a plot of the quantiles of given data against the quantiles of a symbolic Gompertz–Makeham distribution. TransformedDistribution can be used to represent a transformed Gompertz–Makeham distribution, CensoredDistribution to represent the distribution of values censored between upper and lower values, and TruncatedDistribution to represent the distribution of values truncated between upper and lower values. CopulaDistribution can be used to build higher-dimensional distributions that contain a Gompertz–Makeham distribution, and ProductDistribution can be used to compute a joint distribution with independent component distributions involving Gompertz–Makeham distributions. 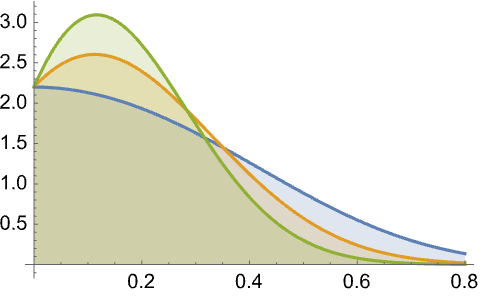 The Gompertz–Makeham distribution is related to several other distributions. 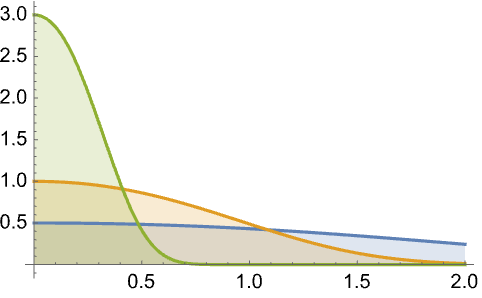 For example, GompertzMakehamDistribution is related to ExponentialDistribution, in the sense that the hazard function (see HazardFunction) of GompertzMakehamDistribution[λ,θ/λ] tends to that of ExponentialDistribution[θ] as λ tends to zero. In addition, GompertzMakehamDistribution is a truncated GumbelDistribution (i.e. 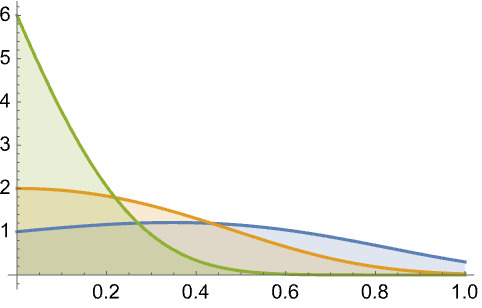 GumbelDistribution[a,b] restricted to [ is the same as GompertzMakehamDistribution[1/b,Exp[-a/b]]). 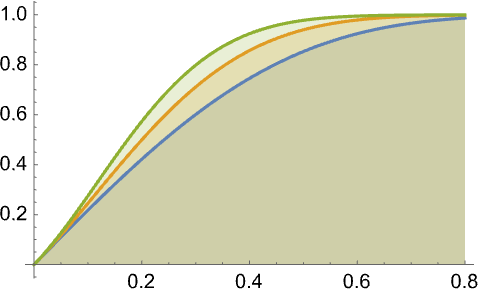 It is related to a truncated WeibullDistribution and therefore also to the other "extreme value distributions", namely to FrechetDistribution and to ExtremeValueDistribution. GompertzMakehamDistribution is also related to GammaDistribution, ExpGammaDistribution, RayleighDistribution, and StudentTDistribution.